We all spend money: we must take care of our needs, and beyond that, we enjoy spending it! If we are lucky, we are able to save some as well. But more often than not, many people end up spending all that they have without thinking of the consequences, and fret when they really need the money. Money is an important need – especially in these times – and it is natural that you fulfill your basic necessities; however, we must strike a balance so that we are able to pay off our expenses, save some for emergencies, and also have a little extra to indulge. Let us take a look at some things that we can do in order to use our money productively and wisely, i.e. without wasting it and thinking before we really spend. First and foremost, you need to and jot down all the monthly expenses you have. These of course vary slightly according to the needs of each individual, and should include all details from food, accommodation, school fees, transportation costs, electricity bills, car installments, credit card payments, etc. I would also suggest setting aside a certain amount for charity each month. Create a spreadsheet with your budget and expenses. Include your monthly income as well as your accumulated annual income. Then list all your expenses with a cost figure next to it. This will tell you if your income is enough to cover your expenses. If it is, then you are more or less on the right track; but if the income is not enough, you need to streamline your expenses. You can even do this more efficiently through some useful iPhone applications like Texthog, Cashbase or online at Mint.com (also an app). Once you have your expenses outlined, you will have a good idea of what you can save on a monthly (and eventually annual) basis. Target this amount and make sure that you put aside a sufficient amount with every paycheck you receive. This will ensure that you have money in the bank in case of an emergency or personal expense. Ideally, saving 10-20% of one’s monthly income is a good start. Keep track of each expense that you make on a daily basis. For example, I use my mobile notepad to keep a list of what I spend during the day. At the end of every week, I transfer this on to a spreadsheet on my computer to compare with my outlined budget. What you need to make sure is that you do not lose sight of your goals. Set aside a specific day, (e.g. 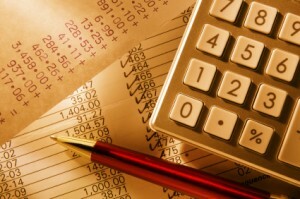 the last day of the month, or the day you receive your paycheck) and analyze your expenses. First, you have to see that you are saving the amount you have set for yourself. If not, you need to figure out where most of your money is going, and if there is a way to cut down those expenses. Start working on these cut-backs immediately. Try as much as you can to stay out of debt – and if that cannot be avoided, make sure that you make your payments on time. Just as you would put aside money for savings, also immediately put aside the amount for debt payments, or pay them as soon as you can to make sure that those monthly car installments, loan repayments, or credit card payments are secure. Letting those payments accumulate would only lead you to paying penalties for late payment! Get rid of all your expensive and forbidden habits. This may be the cost of cigarettes, the cost of a cup of Starbucks coffee every morning, or simply overspending on something that isn’t necessary. Take some time to calculate how much you spend on coffee, cigarettes, and fast food every year and you will be surprised to discover how much money can be used productively, and, how much damage you are potentially doing to your health. If you follow the above pointers and save money monthly, you will end up having a good lump sum amount which you can use as disposable income. Reward yourself for all the hard work you have done the whole year. Use that money to go for a vacation or buy yourself that item you always wanted to. Question: What financial tips do you have to share? Write them below so that we may all increase the barakah in our finances, inshAllah!